Kendall Kia Nampa is happy to provide the Nampa area with an inventory of quality used Kia Optima sedans. Our Kia dealership is confident that we have your next pre-owned car within our wide selection of used Kia cars and certified pre-owned Kia vehicles. To learn more about these pre-owned vehicles, we encourage you to browse through our online inventory. Used cars for sale from a reputable dealer? Yeah, that’s us. Kendall Kia Nampa understands that not everyone is in the market for a new Kia Optima. That’s why at our Kia dealership you will not only find new Kia cars for sale, but a wide variety of used cars for sale in Nampa as well. We provide our customers who are looking to make a used car purchase with many pre-owned and used car options. Furthermore, in our selection of used cars we have an inventory of certified pre-owned Kia Optima cars. To ensure top quality, our certified vehicles have gone through several tests and multiple-point inspections. 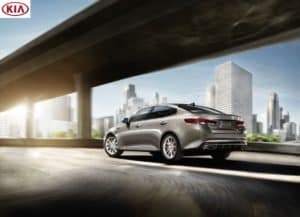 Search used Kia Optima cars in Nampa and give us a call or contact us online if you have any questions, then stop by our Kendall Kia Nampa showroom. It’s only a short drive away from local Boise, Meridian, Caldwell, and Kuna.